Hook Line and Sink Ken Hembre Classic is set for April 9th and 10th. 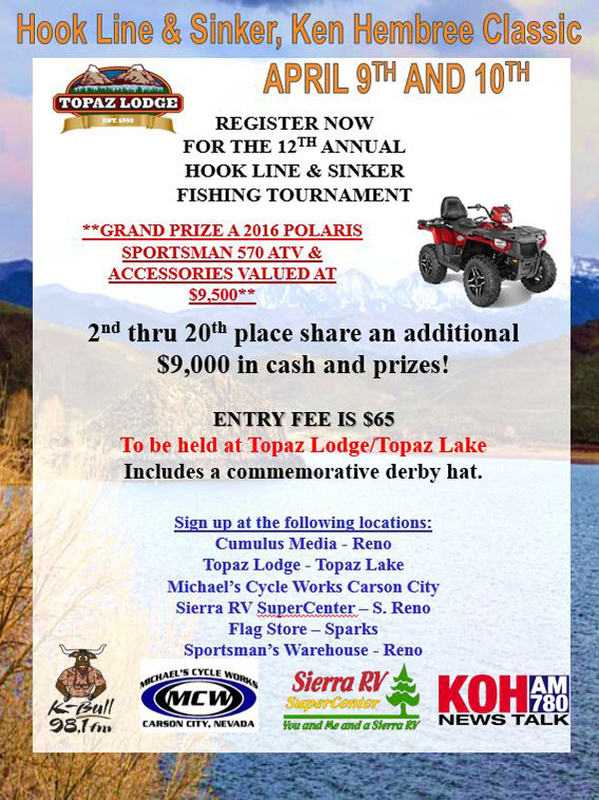 This year the tournament has been relocated from Pyramid Lake to Topaz Lake. The tournament is in honor Ken Hembree one of the tournament founders. Ken, who embodied the spirit of the outdoors, lost a 2 year battle to cancer on Dec. 27, 2006. The tournament will run for two days, the entry fee is $65 for each angler, which includes a commemorative hat. 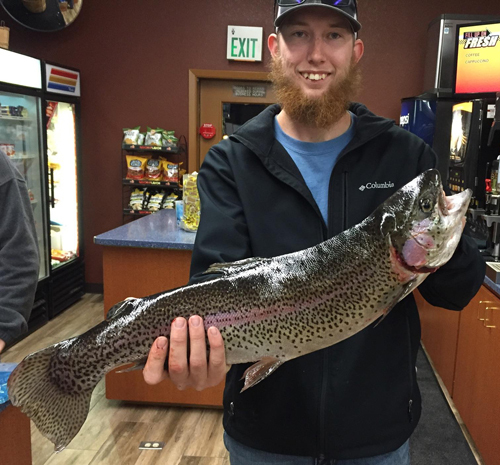 You can sign up in Carson City at Michael's Cycles Works, in Reno at Sierra RV Super Center, Sportsman's Wherehouse or Cumulas Media, in Sparks at the Flag Store or you can sign up at the Topaz Lodge at Topaz Lake. First place will be awarded a 2016 Polaris Sportsman ATV with accessories worth $9500, 2nd through 20th place will share $9000 worth of cash and prizes. If you attend, I would plan to get there early as there is only limit space for parking and camping. The weigh-in Saturday will be from 6-7 p.m., and on Sunday, the weigh-in will be from 6 a.m.-4 p.m. Don’t be late, or it may cost you a new ATV.